Nicolas Mercier was a 17th-century professor and scholar known for his various studies including works on rhetoric, Christian catechisms, and classical poetry. 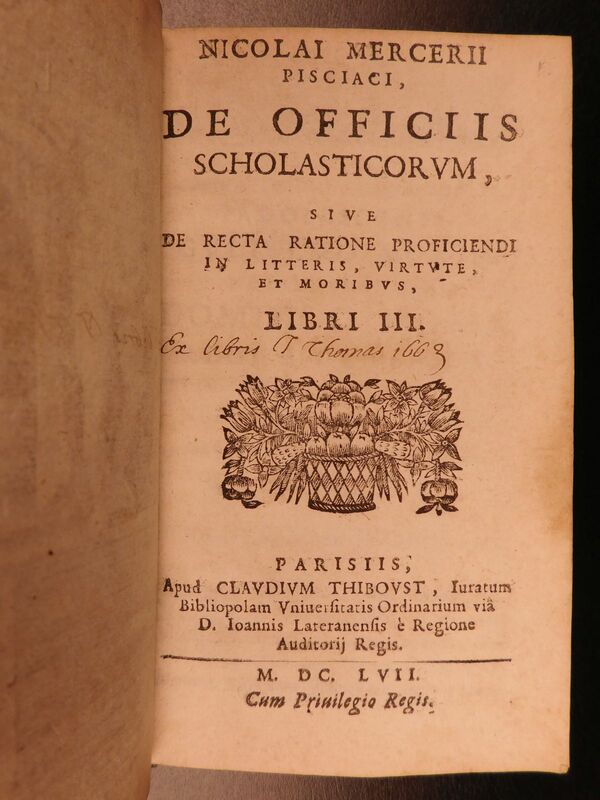 While not considered to be well-known or famous today, his work ‘Officiis Scholasticorum’ is often found published and printed with Erasmus of Rotterdam’s ‘De Civilitate Morum’ – the first Western treatise on moral education. This work, first published in 1530, gives simple instructions on how children should conduct themselves around adults. The pairing of these two works is warranted in that Mercier also writes on the habits of adolescents and commentary that supports the, then, century-old views of Erasmus. Nicolai Mercerii Pisciaci, de Officiis Scholasticorum, sive de recta ratione proficiendi in litteris, virtute, et moribus, libri III. 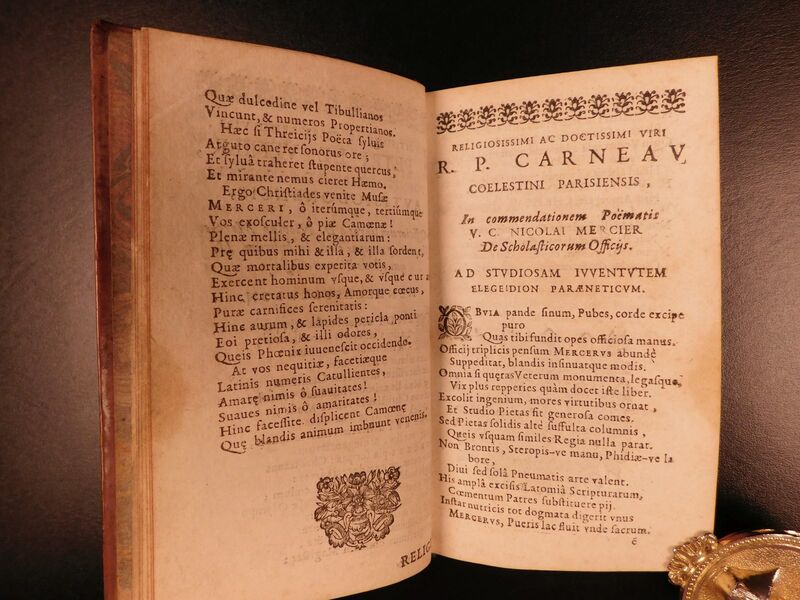 Parisiis, : apud Clavdium Thibovst …, 1664.